There’s nothing quite so romantic as an evening gently illuminated by the soft glow of a lantern, which is why this type of lighting is becoming one of the most popular choices for couples hosting their wedding receptions. Wedding lanterns provide the most magical mood lighting. As friends and family begin to unwind and enjoy the celebrations, wedding lanterns dotted around your venue can diffuse soft pools of light to create a romantic and elegant setting, which is the perfect way to round off a special day. A couple’s big day is often many months, if not years, in the planning, with everything from writing the vows down to the table decorations and favours for guests carefully thought through. Lighting is one of the biggest things you have to consider when decorating your reception venue, as the effect lighting can have on mood and atmosphere is well documented. Wedding lanterns are an increasingly popular choice among newlyweds, because they help cultivate that beautiful, romantic feel which is ideal for helping guests relax once the more serious side of the day is over. Particularly when combined with a fairy light canopy, wedding lanterns form a stunning, memorable visual display and the ideal backdrop for those final professional photos. If you’ve seen photographs of wedding lanterns and feel inspired to use them at your own wedding reception, finding a source of high quality lanterns to hire and decorate your venue with is the next step. Whether you’re decorating a wedding marquee, your local village hall or even hanging them from the trees in your own back garden, wedding lanterns are a simple, stylish way to add much-needed sparkle to the wedding aftershow. 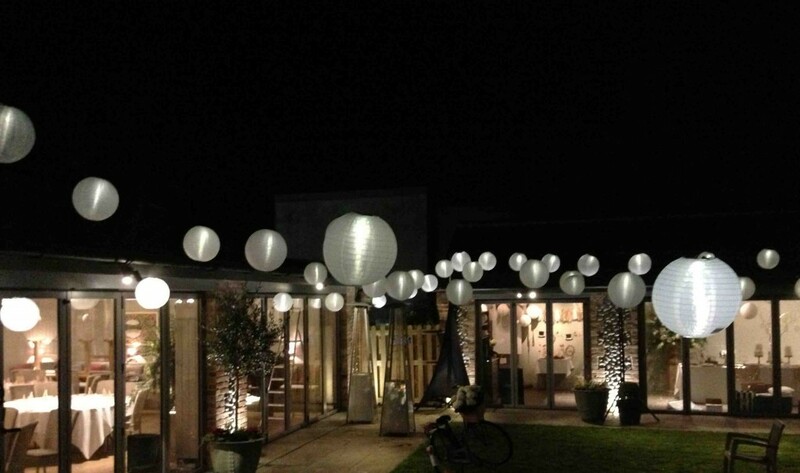 With some of the most elegant wedding lanterns to be found anywhere, Monitor Lighting serve the whole of the county of Essex and can provide all the lanterns you’ll need to help create that stunning display of illuminations. For more information or to arrange your own lantern hire, please get in touch, and let us help you brighten your big day.